Canara Bank, Vijaya Bank, Oriental Bank of Commerce, Allahabad Bank, Bank of Baroda, Indian Bank and Union Bank of India were up 2% to 4%. Shares of public sector undertaking (PSU) banks were trading firm in otherwise weak market with Nifty PSU Bank index gaining more than 1 per cent on Tuesday. Among stocks, Bank of India, Canara Bank, Vijaya Bank, Oriental Bank of Commerce, Allahabad Bank, Bank of Baroda, Indian Bank and Union Bank of India were up 2 per cent to 7 per cent. At 03:11 pm; Nifty PSU Bank index trading 0.44 per cent higher at 2,910 points, after gaining 2.2 per cent in intra-day trade today. On comparison, the benchmark Nifty 50 index, Nifty Bank and Nifty Private Sector bank indices were down between 0.20 and 0.50 per cent. PSU Bank index had underperformed the market by falling 9 per cent from its recent high of 3,195 touched on January 8, 2019. In comparison, the benchmark index was 1.3 per cent during the same period till Monday. 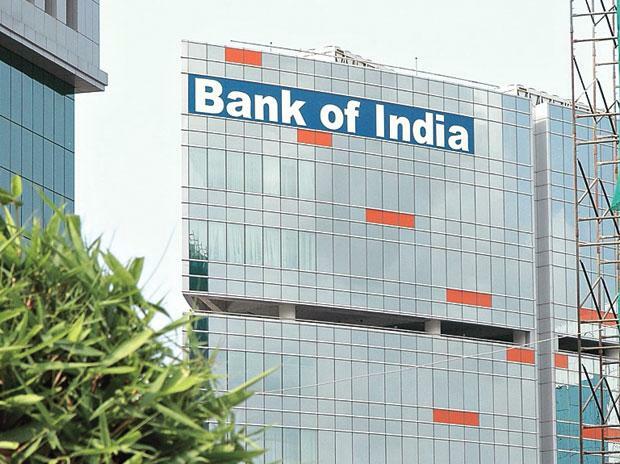 Bank of India was the top gainer among PSU banks, up 8 per cent to Rs 98, bouncing back 15 per cent from it early morning low of Rs 85. The trading volumes on the counter jumped nearly five-fold with a combined 46 million shares changed hands on the NSE and BSE so far. The bank saw its net loss for the December quarter double to Rs 4,738 crore, due to higher provisioning for bad loans. This was against a loss of Rs 2,341 crore a year ago and Rs 1,156 crore in previous September quarter. Motilal Oswal Securities maintains a 'neutral' rating on the stock, as the brokerage firm expects more provision on IL&FS exposure and uncertainty around MSME exposure, where the bank has availed the RBI’s dispensation. These factors, their analysts feel, are likely to keep earnings under pressure. A possible exit from the prompt corrective action (PCA) framework backed by a reduction in net NPA and capital infusion from the government would be a key monitorable, it added.